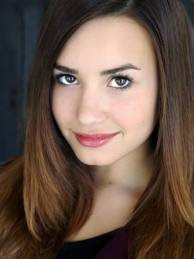 A valuable Inspiration we can draw from the American Singer, Song writer and Actress, Demi Lovato who when from a young age had struggled with physical and emotional struggles but in the end managed to come out stronger and has stayed strong after seeking help. She inspires many to stay strong regardless of the troubles they face and can teach us all to give our hearts a break from all the emotional entangles we can face. Emotions are a great factor in our lives and can have devastating effects if we do not accept them and learn to control them or attend to them. Another great factor to help is by surrounding ourselves with supportive people, our family and especially having good friends to help us through it all. There is only so much you can take. It is time to rise above like a skyscraper. Give her songs a listen and feel inspired all over again. Go Demi Lovato!